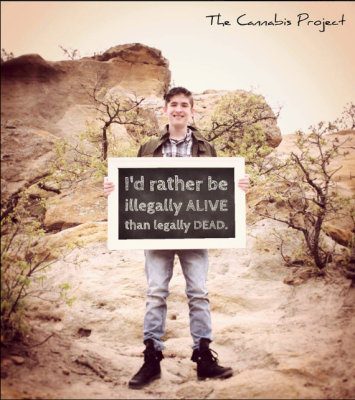 "I'd rather be illegally alive than legally dead"
On June 3, 2011, Coltyn drowned in a lake while attending a Boy Scout outing. He was luckily saved by his brother, Skyler, and 3 other Boy scouts. After that Coltyn became very ill. We thought he had a bacterial infection from the lake. And he did. But it triggered more than just a little infection. After 4 months of poking and prodding and every test under the sun, It was determined that he could possibly have Crohn's Disease. We had no idea what Crohn's was! Coltyn started taking asacol, even though we weren't 100% sure it was Crohn's and was sent home, to be seen back at the doctors office 3 months later. So we started doing our research on Crohn's to see what we were up against. It was decided that because of the GI history we had in our family, the best place for Coltyn to be treated was the Mayo Clinic in Rochester, MN. 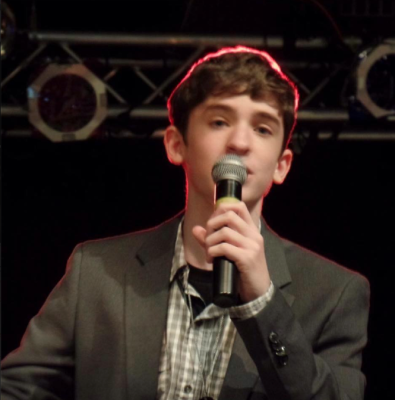 In January of 2012, we made our journey north to make 100% sure that Coltyn actually had Crohn's Disease. It didn't take long for the doctors at Mayo to confirm Coltyn, did,in fact have this dreaded disease. And so the westernized medications began. Coltyn first tried Asacol, and it really didn't help, then Entocort. Again, no relief in symptoms. Coltyn started withdrawing from social interactions, he stopped gymnastics, riding his bike, going anywhere without being forced. We didn't realize it until Mayo told us, but Coltyn was in complete growth failure. We knew he was small, but never thought he was failing to thrive. He was weak and in constant pain. So we had to up our game. Remicade was the next logical suggestion for remedy of his Crohn's that continued to worsen quickly. At his first Remicade infusion, we walked out of the hospital feeling good about it. Coltyn seemed to have a spark again, so we went to the local YWCA for a small swim to celebrate. Later that evening, Coltyn was in severe pain, more than we'd ever seen. The doctors advised us to wait till morning to see if the pain would resolve. It didn't so we took him to the ER for an emergency CT scan. A few days before the infusion, Coltyn had a colonoscopy and the Doctor thought he may have perforated Coltyn's intestines. But that wasn't the case. They couldn't figure out why Coltyn was in such pain. So we went home. The pain eventually subsided. By that time, we were off again to Mayo for the next infusion. We did this 6 times with in a couple of months. Coltyn developed Rheumatoid Arthritis, drug-induced Lupus and serum sickness from the Remicade. Serum sickness is a term used for the body's ability to make anti-bodies against the medication being given. Coltyn's body developed anti-bodies on the first infusion and we didn't realize it. His doctor took him off Remicade before finishing the recommended starting dose and put him on Methotrexate. One dose of Methotrexate and Coltyn's face became swollen and he had profuse nose bleeds. So we couldn't use that! We had to get Coltyn into remission somehow, so Prednisone was the next step. Prednisone is a common steroid used to treat Crohn's and to find remission. Coltyn was on Prednisone for 8 months. Way longer than he should have been! He developed all the common symptoms related to use, moon face, fatigue, increased appetite, joint pain, slight bone deterioration. We were trying to put off using Humira as long as we could. But Humira was the next step. I was NOT happy about Humira. I didn't want to go this route considering the failed attempt on Remicade and the horrible side effects of Humira. Coltyn has never been an easy case for the Doctors at Mayo. They just couldn't get him into complete remission without side effects. But Humira was the next step in protocol. I will NEVER forget the day we gave Coltyn his first Humira shots. After months of trying to convince me it would work, we headed to the Doctors office. I held back my emotions as best I could. I needed to be strong for Coltyn or he would be just as scared. I cried harder than Coltyn did when we gave him that first shot. Then it was my turn to give him his next shot. Through the tears and fear, the complications of all the side effects speeding through my mind, the what if's, and the agonizing pain I just saw Coltyn go through with the first shot, I had to put the needle into his leg and re-live the moments we had just minutes before. The second I did it, an overwhelming feeling of loss came over me in that instant and the thought, "I'm killing my son" ran vividly through my mind. After many months of Humira shots, Coltyn and I crying every time he received his shot, Tommy carrying him to bed because his leg was paralyzed with pain, Coltyn seemed to be doing a bit better. His pain had calmed down a bit and he had a little more energy. His bathroom visits were still hours long, and he would do his home schooling sitting on the toilet, his fatigue was still very prevalent, and the joint pain was scaled back to only a 2 out of 10, when 6 to 7 was the norm. I began to think I was wrong about Humira maybe it did work. 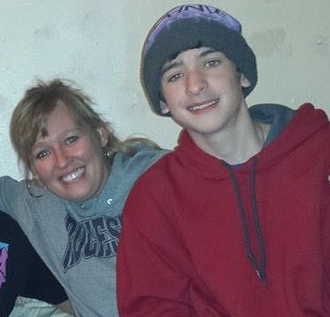 Until August 3, 2013, when Coltyn came home from Camp Oasis, a summer camp for kids dealing with Crohn's and Colitis. He was complaining of a sore throat. His lymph nodes were very swollen. We called the Doctors and they advised us to stop the Humira until they figured out the problem. We took Coltyn to the pediatrician a couple of times. His sister, Ryleigh and his brother, Skyler just went through a small "virus" illness, that's what we thought this was, maybe strep, it was going around. With him being so immune-compromised, any thing could react more negatively on his body. But he wasn't getting better. So we took him to our local ER. They put him through all the normal tests and his MRI came back showing he had fluid on his right lung. Pneumonia. OK. Sounds logical. It has to be reported to St. Louis Children's Hospital. But St. Louis Children's Hospital thought otherwise. They wanted to rush Coltyn there. Their thought was Tuberculosis. So the long process of determining if he had TB began. He was sent home that night after we sat for hours with no confirmed diagnosis. After many trips back and forth to Children's and a hospital stay and numerous tests, he was finally diagnosed with TB. He had a lymph node biopsy on September 13th to determine what type of TB he had. That next Monday we got a call from the ENT that did the procedure asking us to come back in immediately, they did not take out Lymph nodes as directed, but took out his sub-mandibular salivary gland. Needless to say, we didn't go back but headed straight to the Mayo clinic. With in this time frame, Coltyn was on no medications and his health was fading fast. He stayed home most of the time and when he did go somewhere we took a wheelchair. Coltyn couldn't walk or stand by this time for more than five minutes at a time. He was losing weight and fading fast. We had planned a Christmas vacation in New York City before all the craziness ensued. We didn't think he would make it through the vacation without a hospital visit at the least. After many trips and tests, the Mayo confirmed that the TB test was a false positive and that in fact he did not ever have TB. But with the reactive Lymph nodes, they were scared he had contracted T-Cell Lymphoma. Long story short, after many more tests, it was determined that he did not have Lymphoma either. He was just fighting a virus!! So came the decision of what to do next. With the scare of Lymphoma and TB and all the crazy side effects Coltyn has endured, putting him on another medication like Remicade or Humira was a scary option, but an option at that. Mayo gave us 3 options to treat Coltyn, Cimzia, the next line of biological medications similar to Humira, surgery to remove the diseased bowel, or "alternative" medications. By this time we had done plenty of research on all those options knowing they would come up. We went home to discuss all these options. Coltyn came to us one day and simply said, "I'm not taking Cimzia. Find another way!" Come to find out he was doing his research too. He had found he was more likely to contract T-cell Lymphoma after taking Remicade and Humira. And the percentage of likelihood was significant! The decision was made that he would not take Cimzia. Surgery would deter further growth and the consequences of surgery were not an exciting journey. Alternative medicine was our only hope. We dove into more research of alternative medication and found that Cannabis (or Marijuana) seemed to induce remission in a report we found from Israel. At this time, Colorado was in the news quite often for legalizing cannabis use. So Tommy and Coltyn set out for Colorado on March 4th, 2014. The only side effect we found was that it may not work!! What could we lose? Tommy and Coltyn established residency in Colorado and found a MMJ Doctor to examine Coltyn. Pediatric patients have to see two doctors before determining and issuing the use of a medical marijuana card. After all this was done, and Coltyn got his card, Tommy figured out how to make brownies!! For the first couple of weeks, Coltyn ate brownies and really started to feel better! His pain was much less and his energy level increased tremendously! On Coltyn's second appointment with the MMJ Doctors, Tommy ran across another family trying to sort out the same thing. Their son has epilepsy. Tommy looked into the face of the father and saw the same fear and nervousness he had on his first appointment too. Tommy reached out his hand in support of their journey and to reassure this father that he was once there too and it would be ok. They soon became quick friends and the mother told Tommy about a caregiver she had heard of. Tommy, soon after this meeting, contacted the caregiver and on March 25th, 2014, Coltyn started his journey on cannabis oil. And what a journey its been! Coltyn started on .25ml of a 20:1 ratio with THC edibles. He takes his cannabis in a vegan capsule 4 times per day. A few hours after his first dose of cannabis oil, Coltyn said he was having a weird tickling feeling where he usually complains of pain. Since that day, he has had less than a dozen "crohn's pains" that lasted mere seconds and was rated on the pain level at a 1. His usual pain level was a 6 or 7 and lasted for hours and when it subsided it was a constant 2 to 3. For the last 7months, we've had our son back! He's pain free and full of life! He has gained approximately 10 pounds and grown 4 inches!! On July 11th, at 2:30AM, Coltyn hiked 5 miles up Blue Mountain while attending his first Boy Scout Camp since his accident. Tommy and Skyler hiked with him, with tears of joy running down their cheeks! No more wheelchair!! It was time to finally see a doctor, because of the move and the families financial situations, Coltyn was put on Medicaid. So the search began for a Doctor to accept not only a medicaid patient, but, one on cannabis oil. After much searching and many no's, We found Dr. "M" I was first told by the secretary that Dr. "M" was not accepting patients. He was my last resort in Colorado Springs. I started to cry on the phone. I told her everyone else I had called and they all told me no. I didn't know what to do! She must have been a mom too. She told me she would talk to Dr. "M" and explain our situation. 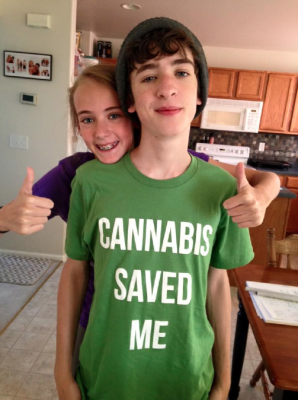 Some of the doctors we called said they would report us to CPS if we continued cannabis use. The next day we got a call back from Dr. "M"s office telling us we were accepted! We made an appointment right then! Dr. "M" was extremely supportive of Coltyn's cannabis use for his Crohn's Disease and got us in contact with Dr. "W-H", a GI specialist. At the appointment with Dr. "W-H", she proceeded to examine Coltyn and found even with all the pushing and prodding of this gut, he was in no pain. She turned to us and said that he looked great and we'll see him in 4 months, continue to do what you're doing! We were shocked! and excited! But after a bit of discussion, we agreed that Coltyn should have a colonoscopy to be sure what we were doing was working! On October 24th, Coltyn had his Colonoscopy. There was no active Crohn's disease, no ulcers, no inflammation, all biopsies came out clear. His colon was back to normal. All his blood work came back within normal limits. Coltyn was always very anemic and since starting cannabis his anemia has resolved. His energy levels are that of a 14 year old boy and he is eating normally. Coltyn has successfully treated his illnesses with Cannabis for well over two and a half years. And is still going strong! His dosing has changed within the two year span and he tries to keep an even amount of CBD to THC in his regimen. CBD only did not work for treating Coltyn's Crohn's Disease. Coltyn is a normal teenage boy. Doing normal teenage things. There’s not much more we can say about him or his cannabis use. It works. And now we don’t worry about going places like the zoo, because Coltyn has the energy to go and is in no pain. 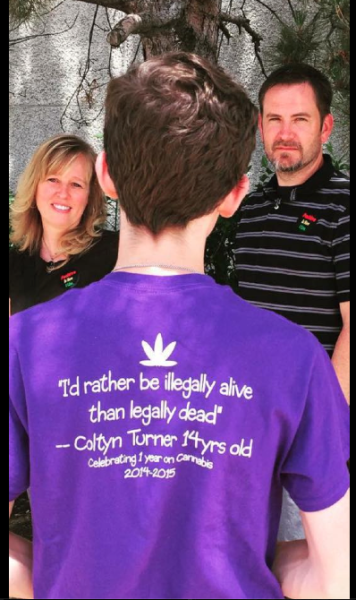 Coltyn is the first registered medical marijuana pediatric patient for Crohn's disease in the State of Colorado and possibly the US.